M State allowed me to absorb the concepts and skills required for my profession. 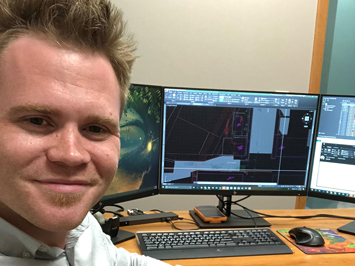 I was provided with opportunities to practice what I had learned through real-life applications, including an internship with a commercial design-build company. Prior to graduation I had three offers from large companies with offices across the United States. The company where I accepted a position specializes in designing water treatment facilities, and they hired me before I even finished my course work.